There’s five key things that all business owners MUST consider RIGHT NOW. Two of them are brilliant wealth creation ideas. Please read on! 30 June is only a few weeks after the beginning of May. It’s not a long time at all. So for 2013, our invitation to you is to START NOW with your tax planning. So look out in your inbox over the next 5 weeks, and we’ll outline in detail for you how to save $ and at the same time grow your family’s wealth in a low risk manner. First of all, we request from you details of your expected income and business profits for the 2013 financial year (1 July 2012 to 30 June 2013). This includes all wages / employment income, interest and dividends and rental income received, business profits / losses, and any capital gains / losses you expect to make. Based on this information, we estimate your taxable income and your tax payable BEFORE any tax planning strategies. For example, we may calculate (based on your information) that you may have a taxable income of $200,000 for 2013. This would result in $66,547 tax and Medicare levy payable. And finally, we provide you with an easy to follow Action Plan to ensure that both you and we can action everything that needs to be actioned before 30 June. Don’t wait until June. 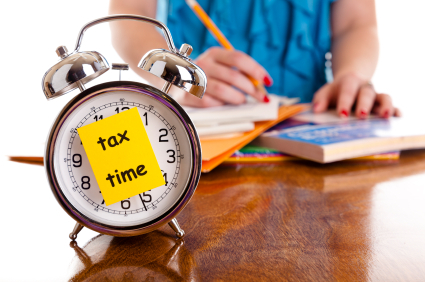 Contact our office TODAY to start your tax planning for 2013. And look out for our special e-mails over the next 5 weeks where we’ll explain in detail how you can benefit from the above 5 key tax planning strategies!